Tihri: The State Government was committed to providing effective, responsive and transparent administration to the people of the State and it was being ensured that the targeted groups get the maximum benefits of the developmental schemes. Chief Minister Virbhadra Singh stated this today while addressing a public meeting at Tihri in Jwalamukhi assembly constituency. He said that being a hilly State every part of the State had different necessities of development and the Government was formulating the developmental schemes accordingly. 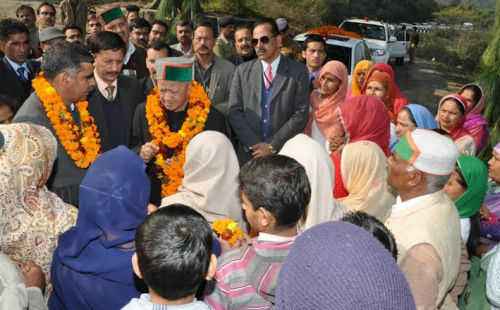 Virbhadra Singh earlier laid the foundation stone of Primary Health Centre building and residential complex at Tihri which would be constructed at a cost of Rs. 1.31 crore. He also laid foundation stone of GSSS Tihri to be constructed by spending Rs. 86.65 lakh. Chief Minister said that Congress Party always believed in equivalent development of the States and the country. 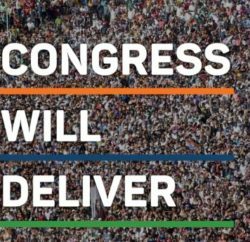 It was due to the consistent efforts of the successive Congress Governments in the State that balanced and speedy development of every part of Himachal Pradesh was ensured and the State today stands at front in almost all parameters of development in the country. 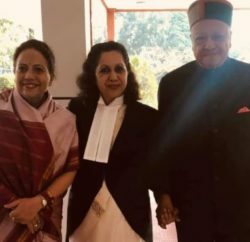 Virbhadra Singh claimed that Congress Party has always worked hard for maintaining the unity and integrity of the country but it was unfortunate that few forces were trying to mislead the people of the country for fulfilling their political motives. He said that BJP today had no issue and it was indulging in cheap politics in the name of first Home Minister late Sardar Vallabh Bhai Patel. 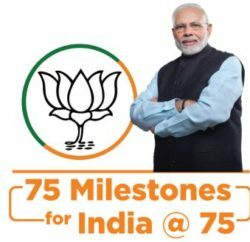 The BJP earlier played with the sentiments of the people on the construction of Ram Temple issue and now it was misleading them in the name of Sardar Patel which clearly indicates that BJP had no concern for the common people and it only believed in show off. The Chief Minister announced to construct a bridge over Bagdella-Nalliyan road in the area at a cost of Rs. 1.60 crore and a foot bridge at Agar on Tal khad. He also announced to connect Bagdella hamlet with link road. Sanjay Rattan, local MLA welcomed the Chief Minister and said that the Chief Minister has visited this constituency four times during this year and he laid the foundation stones and dedicated various important developmental schemes for the area. The Chief Minister later laid the foundation stone of Rs. 3.56 crore Community Health Centre Building at Jwalamukhi. The residential accommodation would also be developed here for the doctors and para medical staff. He also laid foundation stone of Maan Sanskriti College, Jwalamukhi to be constructed at a cost of Rs. 1.36 crore by the Jwalamukhi Temple Trust. Kuldeep Kumar, MLA and Chairman, 4th State Finance Commission, Ajay Mahajan, MLA, Sushil Rattan, Vice Chairman, State Freedom Fighters Welfare Board, Surender Kaku, Ex MLA, Jagdish Sipahiya, Chairman, Kangra Central Cooperative Bank, T.G. Negi, Advisor to Chief Minister, C. Palrasu, Deputy Commissioner and other prominent persons were present on the occasion among others.